Late one evening a few years ago, probably around midnight, I was sitting in my office talking with a good friend of mine. This friend had been staying with me for a while and we had developed a routine of spending our late evenings discussing God’s nature and explaining to each other the revelations Holy Spirit had spoken to us that day and what He was teaching us. This particular evening we were discussing God’s unconditional love when suddenly Holy Spirit took me into a vision. All of a sudden I was looking at a dog, a bloodhound, and he was running straight towards me. 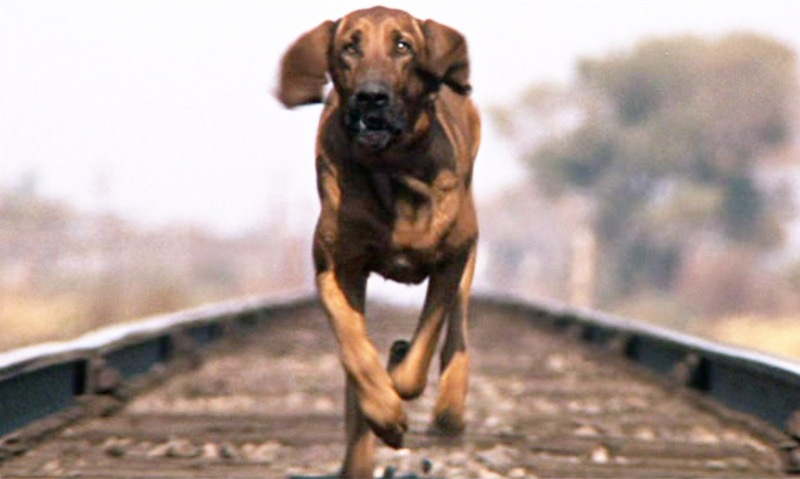 His lips and ears were flapping up and down as he ran, flapping as if they were trying to get him airborne, and there was a look of determination in his eyes that a bloodhound gets when he is hot on the scent of the very thing he is tracking. As I watched this hound come closer and closer towards me, ignoring every obstacle and distraction placed in its way, I asked the Lord, “What is this?” Immediately I knew that the bloodhound represented Him and I represented all men. Now truthfully, I had a problem with God being represented as a bloodhound, not sure exactly why but I did until God reaffirmed to me that my interpretation was right. He then explained to me that ever since the fall of man in the Garden in Eden, He has been single in vision with His eyes set on one point in time and for one purpose. That purpose was to bring back as many of His children as possible into the intimate union with Him they were created in. It was never man’s fall or mans frailty that held God’s attention. It was man’s beauty; that image of God’s fullness that caused Him to declare man as “very good” that captured His heart, and drove Him like a bloodhound hot on the trail of it’s prey. Man was his prey and bringing man back into union with Him was God’s goal, a goal in which nothing would distract Him and nothing would keep Him from accomplishing everything His heart set out to do. There is a misconception out there among many Christians circles of belief that God’s sole purpose for sending Jesus was because man sinned and so He sent Jesus to pay the price for our sins and thereby making a way for man to one day, when he dies, go be with God in Heaven. Giving the impression that God is somewhere far away from earth, sitting on His throne and waiting while Holy Spirit is on earth frantically recruiting people to go live with God in His paradise sometime after they die. That’s all fine and dandy but unfortunately, if that belief is true, then you have to wait in eager anticipation of your death as you muddle and plod your way through life; left here by God to suffer and endure until your appointed time of death. This may sound like an exaggeration but unfortunately its not. It is exactly what many either directly or indirectly teaches from behind their pulpits every week. When you teach that God is in total control of everything and that the manifestations of the gifts of Holy Spirit have been done away with, that is exactly what you are saying. You are declaring that God chose to leave you here under the oppressive plans of the enemy until your Heavenly Father chooses to give you some rest or you die. All along indirectly declaring that God’s love for His children is on a lesser scale than that of a good earthly father. What good father would choose to leave his children in harms way without giving them the ability to overcome. A good father would so stack the deck in the favor of their children as to guarantee victory. But by declaring that God’s provision is less than a good earthly father you cause mistrust and enmity to come between God and His children. Not only is that teaching contrary to everything Holy Spirit was showing me through that vision it is also completely contrary to the very nature of God. God has been the initiator with man from the very beginning and that didn’t stop just because of sin. God has always been the pursuer in the relationship between He and man and sin didn’t stop that, it actually intensified it because where sin abounds grace super abounds. It begins in Genesis where we see God showing up daily to walk and talk with Adam during the cool of the day. God established an appointed time for the two of them to spend together every day. Now Adam was in communion with God and could be in contact with God at all times, but even with that God set a time for them to spend one on one intimate time together on a daily basis. This was initiated by God and not Adam. Even after Adam sinned and that common union was severed God still kept His appointment with Adam to talk with him and Father him. Look at Genesis 3:9. Then the Lord God called to Adam and said to him, “Where are you? Years ago I was reading this passage and I began wondering why God had called out to Adam, asking him where he was. I mean, God is omniscient, He knows everything, He would have already know where Adam was and why he was hiding. So being the inquisitive person that I am I asked Holy Spirit why He asked Adam where he was. Then came a response I wasn’t expecting. Actually, I had to do some research before I completely sure that it was Holy Spirit that had responded. He said something like, “I didn’t’ say that” or “that’s not what I said”. I thought to myself, “but that’s what it says right here in the Bible”! So I looked up the verse in the original Hebrew and the word used for “where” is the word ay. Now ay can mean “where” as in where are you but can also mean “what” as in what are you. You see the difference? God was not asking Adam where he was but asking him what he had become. God was fathering Adam and trying to get him to understand exactly what had happened. Even in the midst of Adam’s betrayal God was the pursuer, He was fathering Adam beginning to counteract any false impressions Adam was beginning to form about what had happened and even more importantly, any false impressions Adam was beginning to form about God’s nature and intentions. Next we read in Exodus God pursuing His children by sending Moses back to Egypt to bring His kids back to Him so they could once again be in relationship with Him. He was once again revealing to them who they were created to be by breaking down any false impressions they had formed about themselves and about God. Why do you think God commanded the Israelites not to create idols? Why was this so important that God made this command number 2 on the all important thou shalt / thou shalt not list? Was God really that worried about competition with a hunk of metal, wood, or stone? Was He offended that they would bow down to an object instead of bowing down to Him? Was He intent on not letting anything get the praise and worship that He alone desired? Of course not! A man made carving does not intimidate God. He does not get His feelings hurt. He does however know that our relationship with Him is directly related to how we perceive Him. The Israelites assumed that He was like all the other gods they had know in Egypt. And like the others, they assumed that the God of their fathers wanted them to build an image of Him and worship it. But it is God’s heart’s desire that the thoughts and images we form in our mind are based on real personal encounters with Him, which will be consistent with scripture. Not assumptions based on experience alone. It is only during these personal encounters with Him that His true nature is revealed to us, not through the ideas and teachings of another man. God is fully aware that when you create an image and worship it, then that very image you create will define the limits of your relationship with Him. Any image that we create is a representation of our hearts belief of who we think God is. It will be a constant physical reminder reinforcing those beliefs. God, being the good father that He is, was trying to destroy all false impressions they had concerning Him and by doing so re-establish the intimate relationship He longed for. Now lets surge forward to John 3:16. Here we see God pursuing man by giving or sending His Son. In Luke 19:10 it states once again that God is the pursuer, the initiator, the one who is taking the responsibility for the success of this relationship on Himself, not leaving anything to chance. He is doing everything He can do to ensure we are united in union with Him. In Luke 15:4 we catch a glimpse of just how obsessed God is about you. “What man of you, having a hundred sheep, if he loses one of them, does not leave the ninety-nine in the wilderness, and go after the one which is lost until he finds it? “What do you think? If a man has a hundred sheep, and one of them goes astray, does he not leave the ninety-nine and go to the mountains to seek the one that is straying? 13 And if he should find it, assuredly, I say to you, he rejoices more over that sheep than over the ninety-nine that did not go astray. 14 Even so it is not the will of your Father who is in heaven that one of these little ones should perish. God’s purpose was never to leave His children abandoned here on this earth to suffer until He finally calls them home. His purpose and His goal has always been to be in union with His children, to impart the fullness of His power and nature in them; allowing them to be partakers of His divine nature. To equip them not only to overcome any obstacle that may try to raise itself against them, but more importantly to impart in them the ability to intimately fellowship with Him. His desire is for his children to be like Him in every way, imitating our Father, and experiencing this union of Him with us, not sometime in the future or every now and again, but enjoying His presence, enjoying our unity with Him every second of every day.